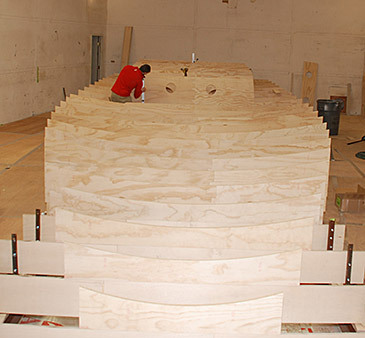 3/11/15: Botin designed HPR 44 under construction at New England Boatworks. 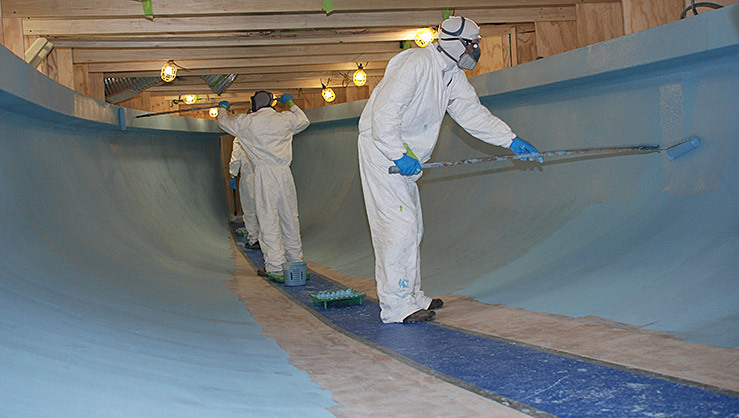 There was no break for our talented team of composite boat builders following the December launch of the newest Rambler. The entire team here at NEB was immediately back in full swing on our next exciting project! Our newest custom carbon build, a Botin Partners designed HPR (High Performance Rule) 44 for the Interlodge Sailing Team, is coming along nicely. 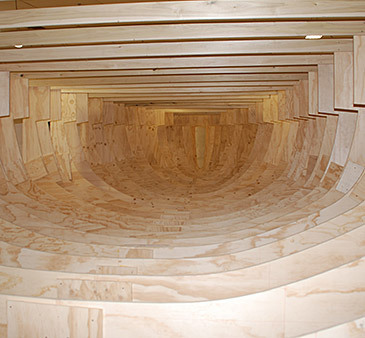 The hull and deck are both to be built in a female tool allowing us to produce a better, lighter product than using a traditional male mold. As of this writing, the female molds are complete and laminating is well underway. Stay tuned for more information and pictures as she starts to look more and more like a NEB built racing machine!